Find iPad only in the widget to the right! 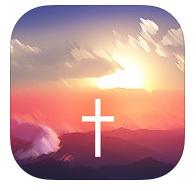 Christian (iPhone)This app cuts away all the complexity of day-to-day life and focuses on one thing: showing you how God’s words of love, support, encouragement and promise directly affect you – and that’s an app we think no Christian should be without! 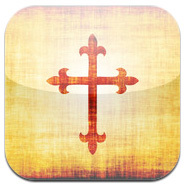 My Daily Bread (iPhone)One of the top selling bible verse applications since its release! Hundreds of great bible verses are included. 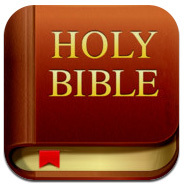 Bible (iPhone)On more than 95 million devices all over the world, people are reading, listening to, and sharing the Bible using the #1 rated Bible App—completely free. Hundreds of Bible versions, hundreds of reading plans, dozens of languages. Add your own highlights, bookmarks, and public or private notes. Customize your experience for easy reading. 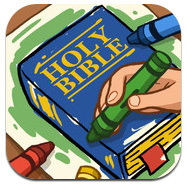 Bible Coloring Book (iPhone)Have fun with your family as you color beautifully illustrated scenes from the Bible, the teachings of Jesus, and Christian activities. 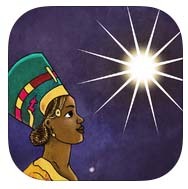 Three Wise Queens (iPad)Have fun with your family as you color beautifully illustrated scenes from the Bible, the teachings of Jesus, and Christian activities. 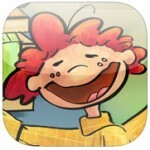 Drew’s Dancing DrumAn incredible Children’s Book App where everything you touch comes to life! Kids will learn the power of never giving up, facing bullies, and listening to their parents while exploring this fun children’s book app! Drew’s Meets Boo (iPad)The continued story of the Incredible Children’s Book App “Drew’s Dancing Drum,” where EVERYTHING you touch comes to life! 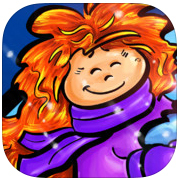 Kids will learn the power of friendship, love, facing bullies, and believing in yourself, while exploring this fun children’s book app! Realms of Glory (iPad)The heavens declare the glory of God! Explore 154 awesome images of our universe paired with Bible verses reminding us that God created it all: galaxies, nebulae, supernovae, planets, stars, moons, comets, asteroids, meteors, and spacecraft. 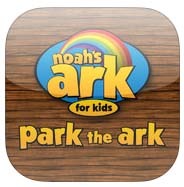 Park in the ArkHave fun with your family as you color beautifully illustrated scenes from the Bible, the teachings of Jesus, and Christian activities. Mindscape Meditation (iPad)Mindscape is the easiest way to learn and practice ***Christian meditation***. 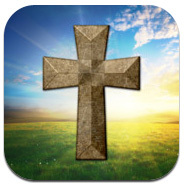 Enjoy stunning 3D visuals and high-quality audio on your iPad while experiencing the healing power of scripture. Take anywhere from 10 to 30 minutes out of your day to make an intimate connection with God by focusing on a scripture that speaks to you. 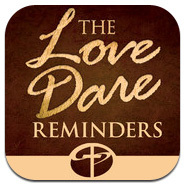 The Love Dare: Reminders (iPhone)The Love Dare: Reminders arranges 365 marriage-strengthening insights from the bestselling book, The Love Dare into forty-two separate topics on your iPhone. Receive one daily, mark your favorites, email it to yourself or your friends with a personal note, and more.